Two cabinets in one! 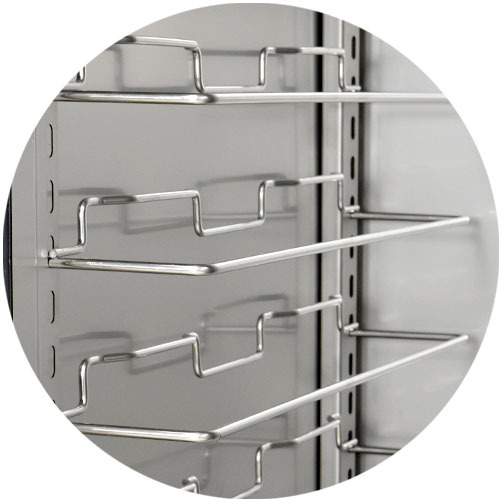 Dual-purpose cabinets proof and heat - eliminating costly duplication of equipment. FWE's heavy-duty ETC-UA-PH Series hold 18" x 26", 12" x 20", 14" x 18", 12" x 18", 20" x 22", 10" x 20" as well as Gastro-Norm sizes: GN 2/1, GN 1/1 and GN Maxi-Pans. Cabinets are insulated on the left wall and door for greater heat retention than NON-insulated cabinets. 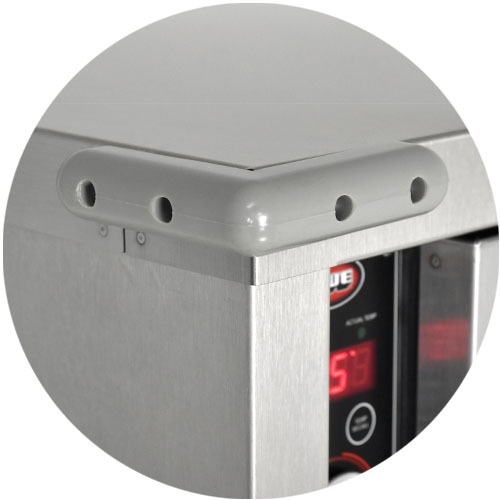 The high performance proofer heat system combines heat and humidity to proof or hold your food. The power assembly is also built into the cabinet to reduce maintenance and cleaning costs. Our internal frame construction is designed for rigorous operations and environments, including catering and transport applications. FWE non-insulated cabinets last longer than any other - period! CONSTRUCTION. 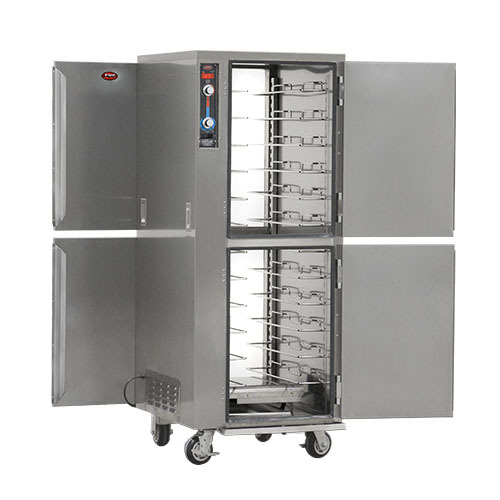 Heliarc welded, single unit construction of stainless steel; 20 gauge polished exterior, 22 gauge stainless steel interior with easy-to-clean coved corners. HANDLES. Full-size, form-fitting recessed hand grips shall be mounted on each side of cabinet. CASTERS. Maintenance free polyurethane tire casters in a configuration of two (2) rigid and two (2) swivel with brake. Casters shall have a reinforced yoke mounted to 10 gauge caster plate. The caster mounting plate shall be secured to a 10 gauge stainless steel reinforcing stress plate via welded in place stainless steel studs. The reinforcing stress plates shall be welded to the heavy gauge tubular frame of the unit. TRAY SLIDES. 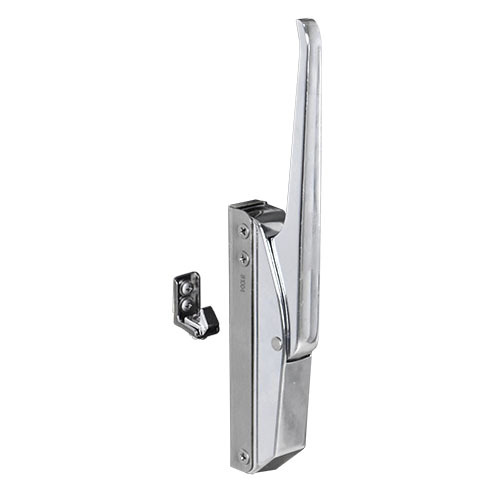 Welded rod-style tray slides are stainless steel for greater durability and sanitation. Fully adjustable /removable and designed to give secure bottom tray support. Removable stainless steel uprights shall be punched on 1.5 (38 mm) spacings for easy tray adjustment, and shall easily lift off heavy-duty stainless steel brackets without the use of tools for cleaning. PROOFING SYSTEM/CONTROLS. Built in humidified holding system shall include two (2) separate long life Incoloy nickel-chromium alloy heating elements per cavity; separate, adjustable controls shall be provided for each function. One to control the interior air temperature, and one to control the interior air moisture. An oversized and baffled, stainless steel water reservoir shall be removable for ease of cleaning/sanitation. System shall have a Hi-Temp, self-lubricated, impedance protected fan-cooled blower motor for moist air distribution. Controls shall be up-front, recessed and shall include a full range thermostat adjustable to actual temperature. Thermostat shall include temperature scale marked in ten degree increments (F/C) from 90° to 190°F (32° to 88°C). An operational range thermometer, adjustable moisture control (Low to High) with "P" to indicate "Proof" position, 20 amp ON/OFF power switch, humidity cycle light, and thermostat cycling light shall also be included. ELECTRICAL CHARACTERISTICS. 3 wire grounded tri-directional power cord and plug, rear mounted for safety. See electrical data chart above for amperage and receptacle configuration. See electrical chart for models that require a dedicated circuit.